In early 2018 six municipalities were selected to become the pilots for the Municipalities in Transition project. 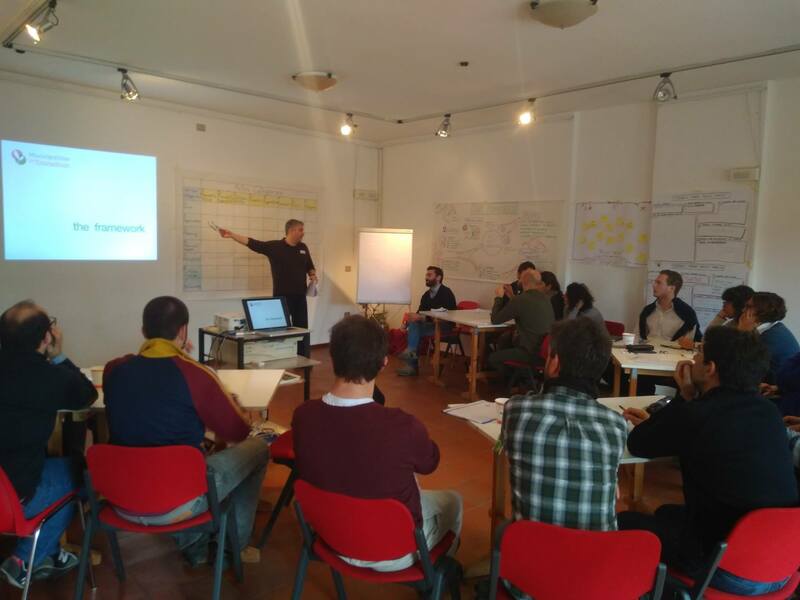 As part of the creation of the activation circle for each pilot, we (the MiT Core Team) invited representatives from each pilot from the 13th to the 16th of March 2018 to participate in a training to learn how to use the MiT framework and to begin laying the foundation for the MiT Community of Practice. 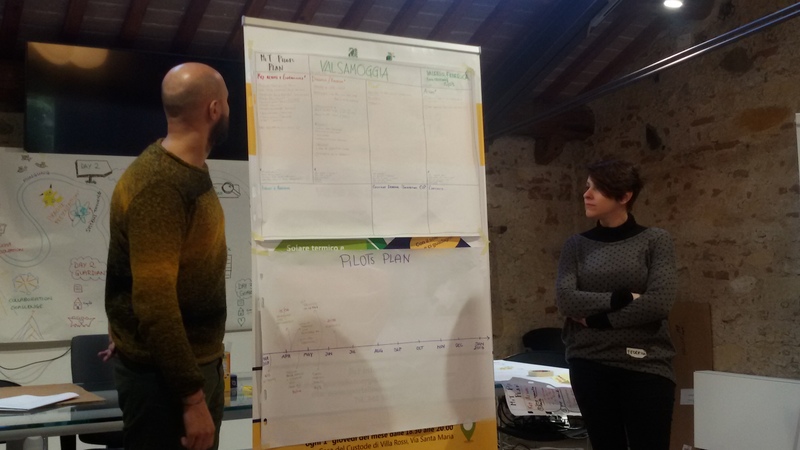 The training took place in Santorso, one of the pilots, where Giulio Pesenti from the local transition initiative, with support from the municipality, arranged a space for us to meet for 4 consecutive days. The training had three distinctive parts. 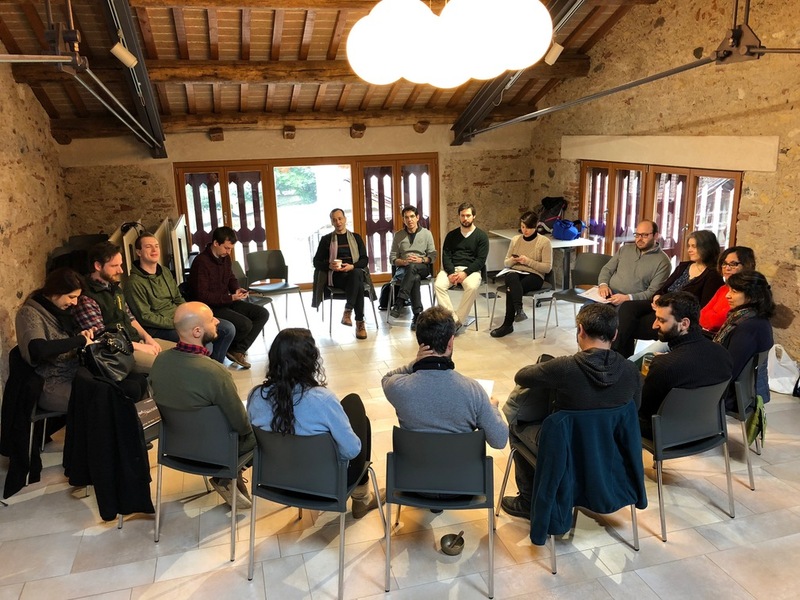 The Municipalities in Transition project has been designed to create collaborative relationships between civil society and local administrations to create sustainable change together, and this kind of collaboration is what we intend to contribute toward systemic change. 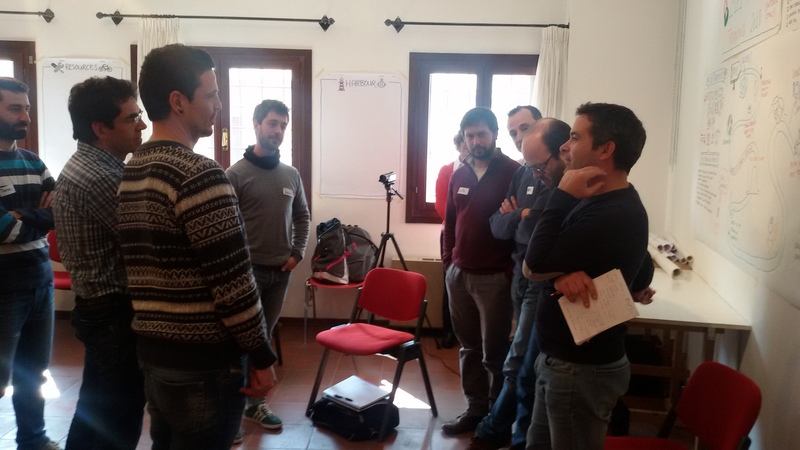 Therefore, the first part of the training was devoted to looking at what systemic change means and how we can integrate it in our way of doing transition. Here we drew inspiration from systemic thinkers such as Donella Meadows, Robert Pirsig or George Lakoff, and the work of organisations such as SmartCSOs and movements like Transition and Permaculture. The second part was dedicated to looking at the MiT Framework together and try to understand how the proposed tools (The Grid and the Database) can be used to create sustainable change in a synergetic way between municipalities and civil society. 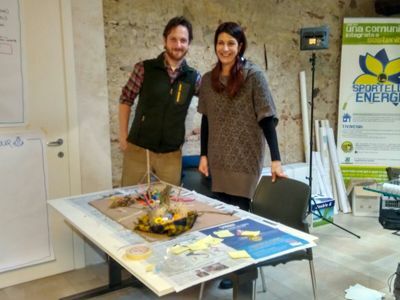 The hypothesis (assumption) we presented is that, by using an appropriate framework and tools based on co-creation, innovation and mutual support, local institutions can effectively create an enhanced combined effect that promotes sustainability and social justice. Through its use, actors should be able to better respond to the great challenges of this historical period, adopting the systemic view and sharing new methodologies and principles. Through a series of exercises and thought-provoking exercises, participants in the training were able to begin using the framework to, firstly, analyse their current context, and then to begin planning actions that would bring different actors together from their territory. This served as a first step in joining forces to think systemically and begin imagining a different future for the municipality; the final baseline analysis and detailed plan is currently being designed locally by participants and the rest of the activation circle in each municipality. The final part was dedicated to looking at the MiT Community of Practice. This community is envisaged to ultimately become the guardian of the MiT project, holding spaces for practitioners of systemic change and users of the framework to come together and share their experiences. A strong community, led by its members, and able to respond to the common challenges that arise, is the kind of structure we are hoping to see become more and more common as we continue to shift the current paradigm. Results were already palpable after the first three days of the training. We need to appreciate the extraordinary meeting space that was created during the training, where representatives of civil society and each municipality came together to explore how best to work together. It was often the case at the beginning that each person came with a specific expectation of what the training and the framework should allow them to do: to push forward their own vision, political agenda or project, and find a way to get support from the other party. We were ready for this to happen, since it is the usual way we approach partnerships in the current paradigm. 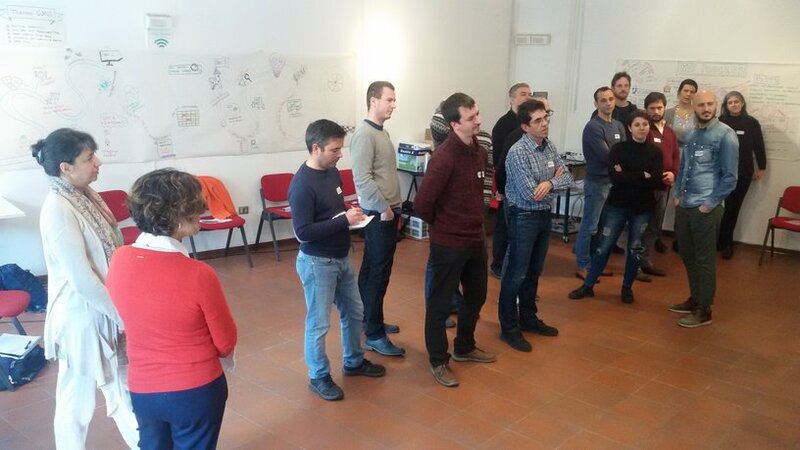 Municipalities in Transition training in Santorso, Italy. Four days, six municipalities, twenty participants and a lot of fun. We’ve learnt how to place the collaboration of local communities and city councils on a common ground, how to create the atmosphere of cooperation and how to strive together for a systemic change in our world. But most importantly, I’ve also learnt about myself, about my strengths and weaknesses, and the way I can contribute to the greater movement of transition. These answers may not be the final or the only ones, but these four days helped me to articulate them in a way I wasn’t able to do before. The participants together, but also as individual persons, we’ve all brought home something remarkable to share with our community. 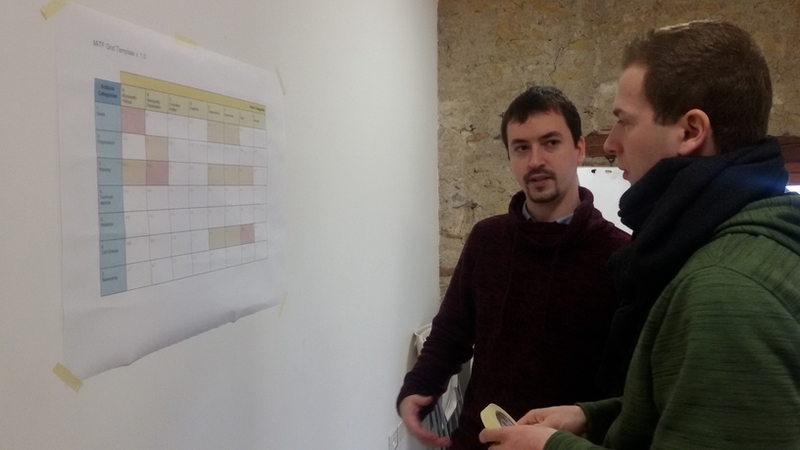 However, through deeper conversations and the use of the framework, several participants were able to shift their understanding of what we are aiming to do through the MiT project: create spaces where we come as individuals, taking off our “organisational hats”, looking at the context of our territory with new eyes, and work together to design the best possible course of action to promote a change in the system. Of course, after the training we will, as a community, face several challenges when bringing the framework back home and trying to get people who didn’t attend the training to join us in our vision and way of working. However, we trust in the capacity of the framework to inspire deeper discussions and to design activities and spaces for connection that are able to respond to the needs of the different actors within the municipal territory. The training focused on bringing together representatives of civil society and the municipality of the pilot projects to provide grants and tools and to promote understanding of the MiTFramework methodology to be co-created and developed based on local specificities. 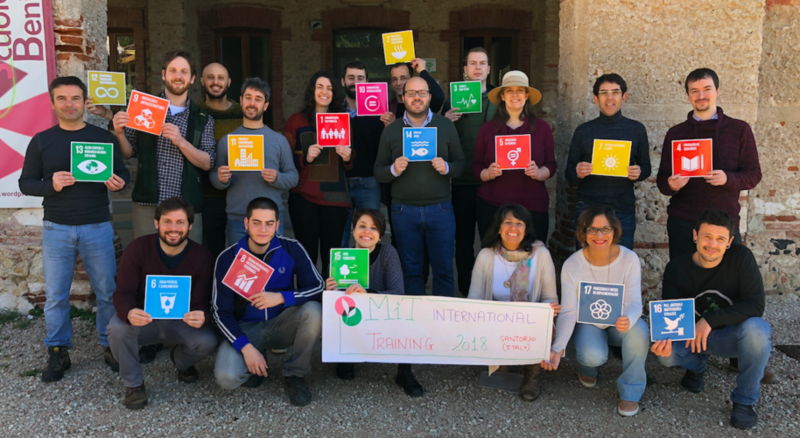 The training was extremely important to us, because the essence of the MiT project became very clear, as well as its potentialities and limitations. The presentation of the other projects was quite rich, since it was possible to identify points converging between them. The best parts were the dynamics and contextualization of them, with the knowledge being built by all. A point to emphasize was the conviviality with the local community, represented more punctually by our hosts. It was a rewarding exchange, pleasant and very interesting! 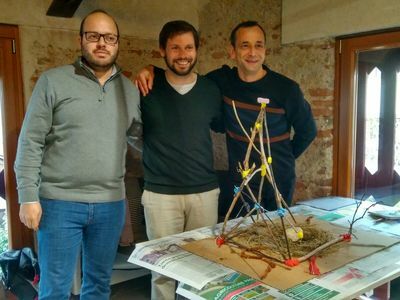 For us the training was very relevant because it brought together the best conditions for incorporating MiTFramework concepts and methodologies. In addition, it was possible to know the different realities and proposal of the pilot projects, which greatly enriches this journey of application and learning. Despite the large number of contents, the design of the training program provided objective and subjective moments giving balance, lightness and creativity. 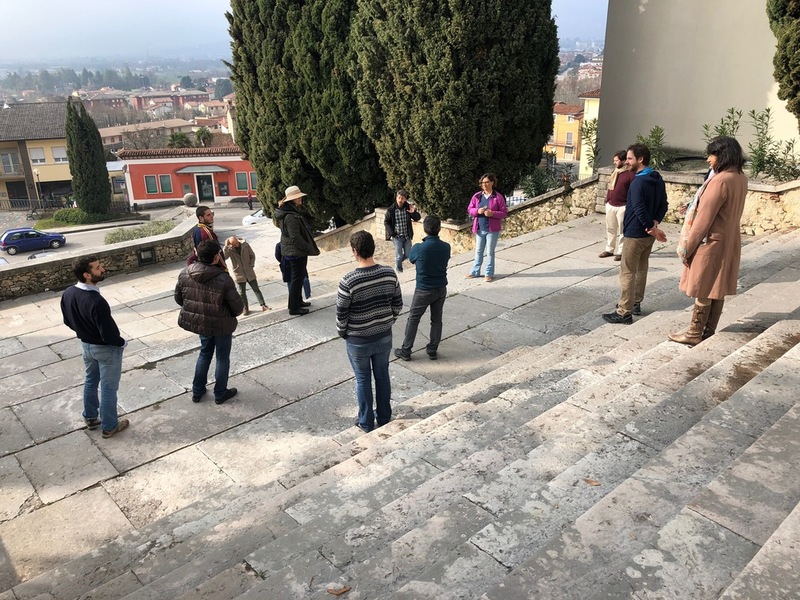 The structure adopted in the MiT proposal aims to collaborate with the improvement of the interaction and dialogue between civil society and local public power to favor the implementation of sustainability principles locally, with the potential to generate a healthy and cultural impact in the life of urban communities. It was deeply inspiring to see how, especially for those pilots whose representatives did not know each other very well before, trust began to deepen and new possibilities opened before them. The greatest success of the training was the creation of these safe spaces for conversation, with the support of a facilitator, to begin wading into unknown territory. The territory of relationships based on trust, shared power and lasting commitment to positive change. One of the most important things of this project is that it has made possible something that was already in the air, something that people knew they needed and wanted, but didn’t know how to name, find or embrace. Having an international network and an important foundation behind all this, made everything deeper, more serious and legitimate. It’s not just about us, our little town. It’s something bigger, more important than our small scale daily challenges, that can connect people from all over the world and have a ripple effect in ways that we can’t even imagine now. We already experienced a similar feeling when we started the local transition initiative. We had to fight against that story that says that in your little town nothing will never happen: people are stupid and so are the people in power. But when you see that reality can change, sometimes, you experience emotions that are really hard to explain. I mean, unbelievable and beautiful emotions. With the Municipalities in Transition project we’re living the same all over again. You see the local community already gaining new oxygen and motivation just telling them what this project is about and what we want and hope to do. You see people from the municipality being inspired by the way we worked together during the training, the vision exercise we did, the way we self-organised, the way we made our collective genius visibile through visual facilitation, sociometry and all the endless games and techniques we tried. 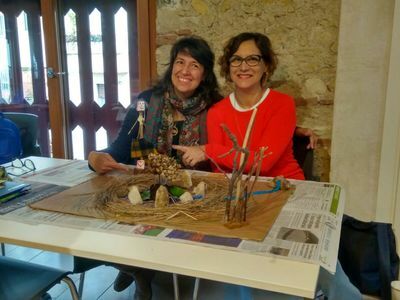 Using a systems vocabulary, we could say that we already pressed a deep leverage point in the structures of the local community and the municipality… And we are just at the beginning!